Woodman’s Seafood Gift Cards are Always a Perfect Fit! No matter whom you are trying to please, a Woodman’s Restaurant Gift Card is never going to disappoint! Woodman’s seafood gift cards are the perfect gift for friends and family visiting Massachusetts; or for those who live just down the street! 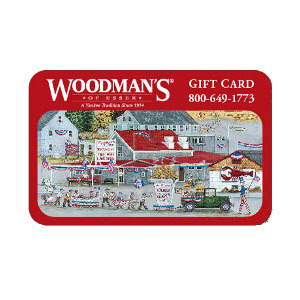 Redeemable only at Woodman’s of Essex, your prepaid restaurant gift card will be delivered by mail. Gift cards are sent the next business day after purchase. Please allow 5 to 7 days for delivery.